If you are looking for a getaway that can afford you carefree weekends in Highlands North Carolina, look no further. 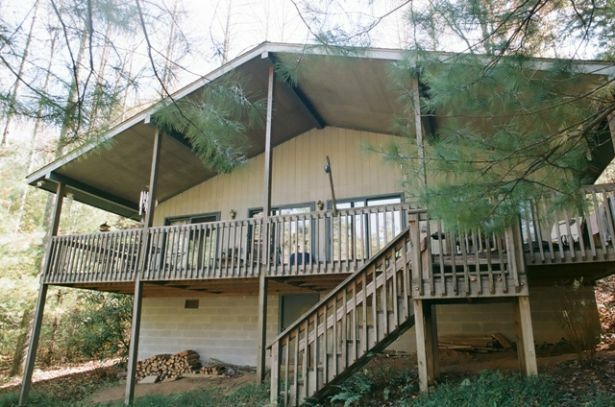 This fabulous three bedroom, two bathroom home is situated in the woods, complete with its own pond and dock, offering solitude and serenity as you escape from the hectic pace of work, school, and everyday life. This lovely Highlands property has been well-maintained and is situated on nearly two acres. The interior of this Highlands home contains an eat-in kitchen and a family room with a wood burning stove, while the exterior offers a large covered deck and plenty of privacy, while located close to downtown. This home is perfect for the individual or family who has been considering buying a second home, and it is priced right at $275,000. Recent reports show that now is an ideal time to buy vacation property. High inventories, low mortgage rates, and low home values have combined to create an ideal buyers market. In addition, renting vacation real estate has never been easier or more popular. If you would like more information about this home or any other Highlands real estate that is currently listed for sale please contact us today. Click here to read a recent article from Realty Times regarding why now is a great time to buy vacation real estate.